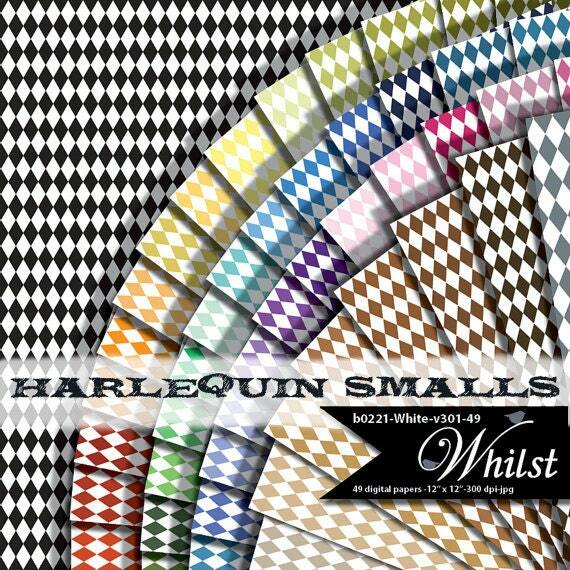 Small scale harlequin in white with 49 other colors. Perfect for what I needed and will them many times over. These digital papers were easy to download and use in my program. The colors are very pretty and matched nicely with what I needed them to. I haven’t completely finished my project yet but I think that it’s going to turn out great thanks to these papers.